The Trophy of Innovation is awarded by a jury of scientists and scientific journalists, in Paris. In 2015, they had to elect the winners among 76 international companies which presented each their best scientific innovation of 2014 and 2015. 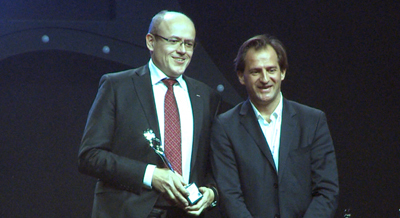 SAFAS was delighted to win and Dr Jean-Franck Bussotti, C.E.O. 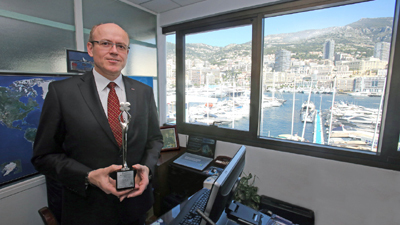 of SAFAS, received his beautiful Trophy from Olivier Casamitjana of Sanofi, President of the ELRIG (European Laboratory Robotics Innovation Group). After more than half a century of major innovations in science and medicine, all SAFAS team is very proud of this great acknowledgement of their commitment to science.